Today we welcome a new guest on the show to talk about lubricants. 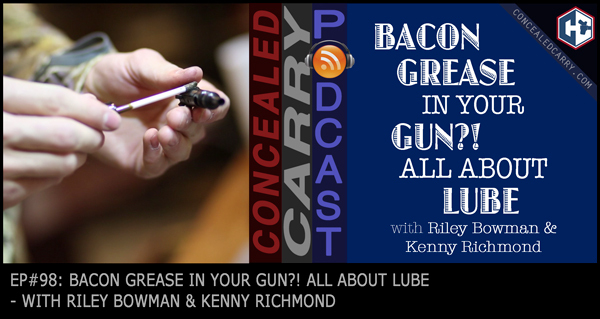 What makes for a good lubricant, why is it important for your firearms, etc. The Monadnock Area Fire Chief's Association (MAFCA) is hosting Kyle Lamb's Leadership In The Shadows seminar. Saturday February 25, 2017 from 9am to 1pm. There is a difference in pig lard and bacon grease. Most bacon has salt used in the curing process but lard would not. Don’t know that I want a product that has salt. Mike, agreed! If you listen to the episode you will hear the representative from PigLube clarify that the grease is synthesized to remove sugars and salts.